Peter Jackson’s Groundbreaking First World War film is available now on Digital Download and will debut on Blu-Ray and DVD from 10th December. 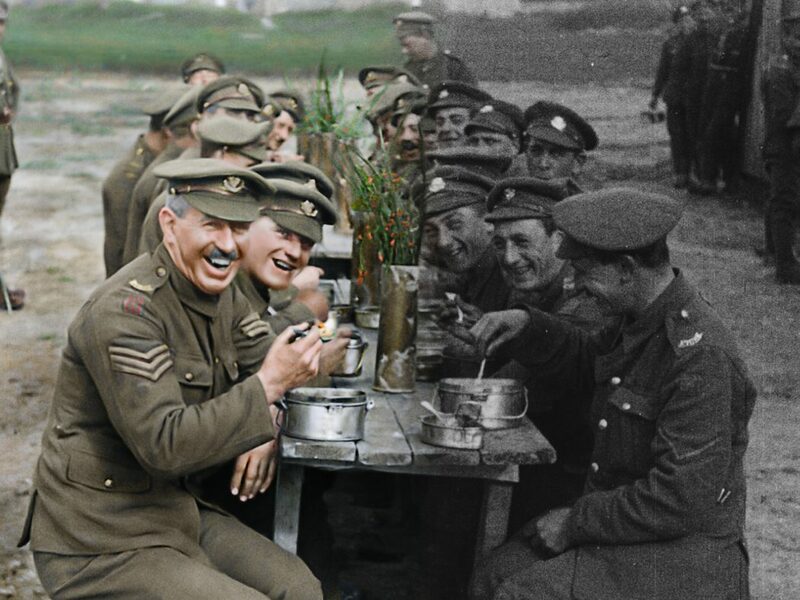 Warner Bros. Home Entertainment is delighted to announce that Peter Jackson’s First World War film, THEY SHALL NOT GROW OLD, is available from today on digital download and will debut on Blu-ray and DVD from 10th December. A special 30-minute Q&A with Peter Jackson will also feature on both the Blu-ray and DVD releases. THEY SHALL NOT GROW OLD premiered to critical acclaim at the London Film Festival on 16th October and played nationwide in cinemas in November. 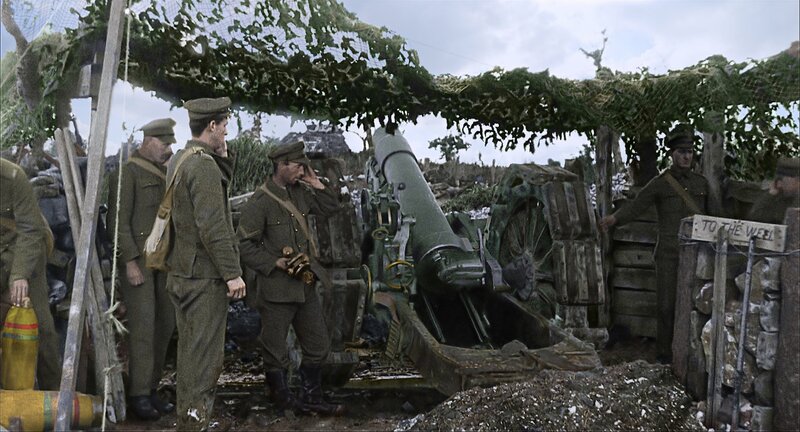 Co-commissioned by 14-18 NOW, the UK’s arts programme for the First World War Centenary, and Imperial War Museums, THEY SHALL NOT GROW OLD was created exclusively with original footage from Imperial War Museums’ film and audio archive and audio from BBC archives. This is something that I was gutted to have missed out on from London Film Festival because it sounds so interesting and fascinating. The fact that we have reached a point in our timeline where we are able to restore parts of history. It is a history that should never be forgotten and Peter Jackson has used his film-making talent to make sure that is possible. Marking the centenary of the First World War, the internationally renowned director Peter Jackson (The Hobbit and The Lord of the Rings trilogies) uses the voices of the veterans combined with original archival footage to bring to life the reality of war on the front line for a whole new generation. 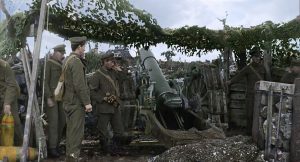 Footage has been colourised and transformed with modern production techniques to present never before seen detail. That description honestly leaves me stunned every time. This is true art and genius at work here. To be able to use old archive footage and the voices of veterans to bring back the past is surreal. This could be the stepping stone for a new wave of historical movies. 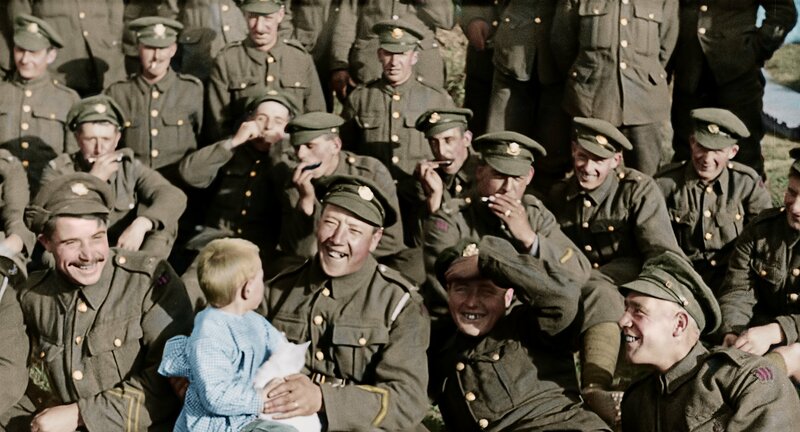 THEY SHALL NOT GROW OLD is directed by Peter Jackson, produced by Peter Jackson and Clare Olssen and edited by Jabez Olssen. Co-commissioned by 14-18 NOW and Imperial War Museums in association with the BBC. Produced by WingNut Films and Executive Produced by House Productions. Supported by the National Lottery through the Heritage Lottery Fund, the Department for Digital, Culture, Media and Sport. Special thanks to Matthew & Sian Westerman with additional support from The Taylor Family Foundation, The Moondance Foundation, Welsh Government, Scottish Government, British Council, Tim & Sarah Bunting, Jacqueline & Richard Worswick and one anonymous donor. 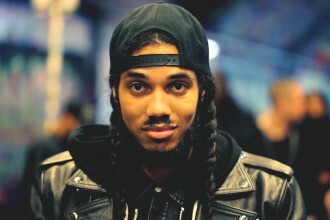 DaVinChe Releases Brand New Double Video & Links Up With Boy Better Know’s Jammer On Collaborative Production!